For additional information about this book, visit the website www.findinghumancapital.com. Without people, you don't have a business. Without great people, you don't have profits. People, products, and profits: the key elements of a successful business, regardless of the industry. To compete in a competitive market, you must find and attract the right people. Campus recruiting is a particularly effective way to find ambitious, motivated applicants who are eager to build lasting and valuable relationships with your organization. 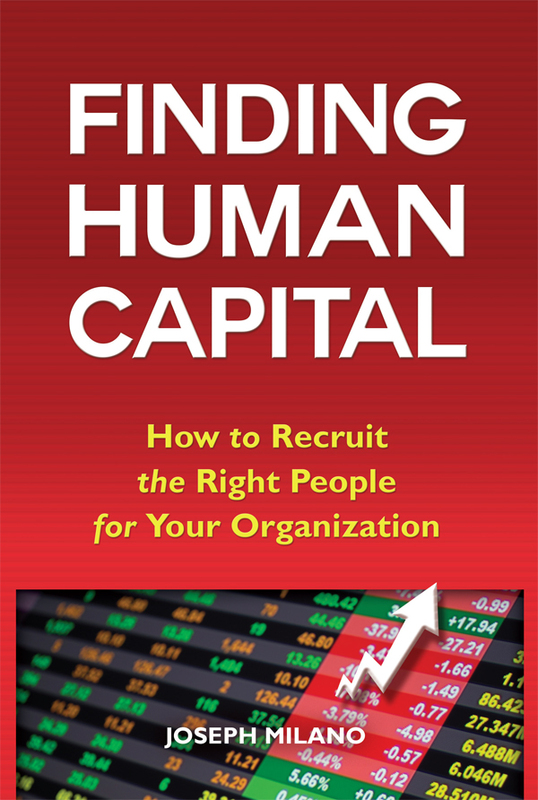 With proven and innovative ideas to attract diverse and capable candidates, Finding Human Capital: How to Recruit the Right People for Your Organization will give you an edge over hiring managers still relying on the same tired methods, and place your company in a position to thrive for many years to come. People drive business and are the foundation for it's success. All business are currently engaged in a talent war. The future of their success depends on the ability to find and attract the right people. This short book helps people in charge of hiring think differently about how to find the right people. It helps the develop new strategies and concept to ulitmatley attract the people they are looking for. So many invidiuals think about the traditional ways to find people but these ways are slowly not producing the right results. Remember, I good hire can help to your business to heights never thought possible but a bad hire can destroy decades of work overnight. Please take the time to invest in yourself and your business by reading this book and I promise you will find 1 good idea to help identify and attract the right person to your firm. Joseph Milano is a veteran of the financial services industry. Working in it in different capacities for sixteen years but mostly as a managing director for the last eight. His experience ranges from financial services, to producing live theatre, to owning and operating a food services business, to investing in commercial real estate. A graduate of Villanova University, Milano lives in Staten Island, NY, and Charlotte, NC and frequents Grand Cayman. This is his first book.